We've all heard it before. But how does it apply to you as a home builder? On the surface, it seems simple. Keep doing what you're doing if you like the results. But the issue here is what used to work, no longer does. And continuing to try to make it work is a slow, but inevitable death. The good news is, the new way gives you better and more reliable results. If you'd like to read a summary of this post, click here. If you've started to notice your leads dropping off and your showhome traffic slowing down, then keep reading. You're about to learn the 'secret' to avoiding death in the home builder market. 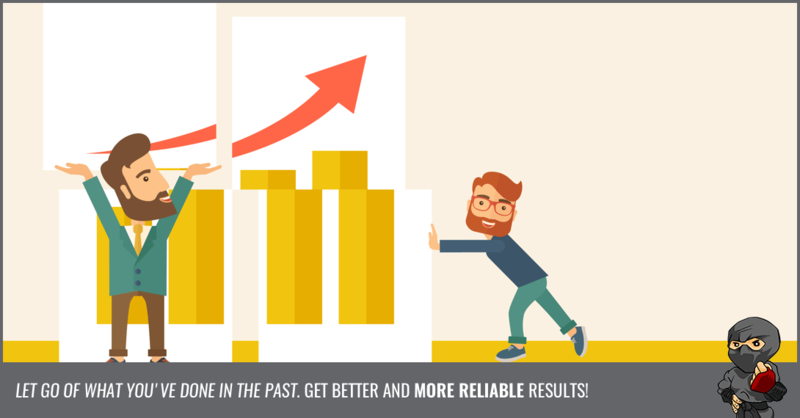 If you could bolster your marketing ROI an upwards of 600% in the next few years, would you? That’s been the story for several of our clients after they stepped outside their comfort zones and went digital. The first step is letting go of what you’ve done in the past. Sure, you could blame the economy for a falling ROI, but it's not going to give you a picture of what you should be doing. The big reason why the “doing what we’ve always done” mentality is a death sentence for home builders is that times are changing. The internet really has changed the game. Hell, Google has 3.5 billion searches per day. 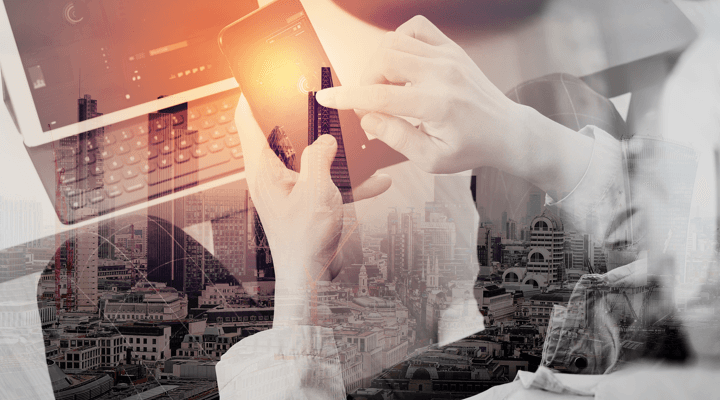 Today's savvy marketer is leaving the bulk of their traditional marketing methods behind and adopting a newer, more effective approach: inbound marketing. With that in mind, you need to take a look at what you're doing and see if it falls in line with a modern home builder marketing strategy. If you've followed our blog for any length of time, you know we talk about the buyer's journey. A lot. Because it's that important. The digital age has heralded a new type of consumer. Now more than ever, prospective home buyers are opting to do their research online before walking through the doors of your showhomes. You may think this only applies to tech-savvy millennials who can’t seem to put down their smartphones, but this just isn’t true. 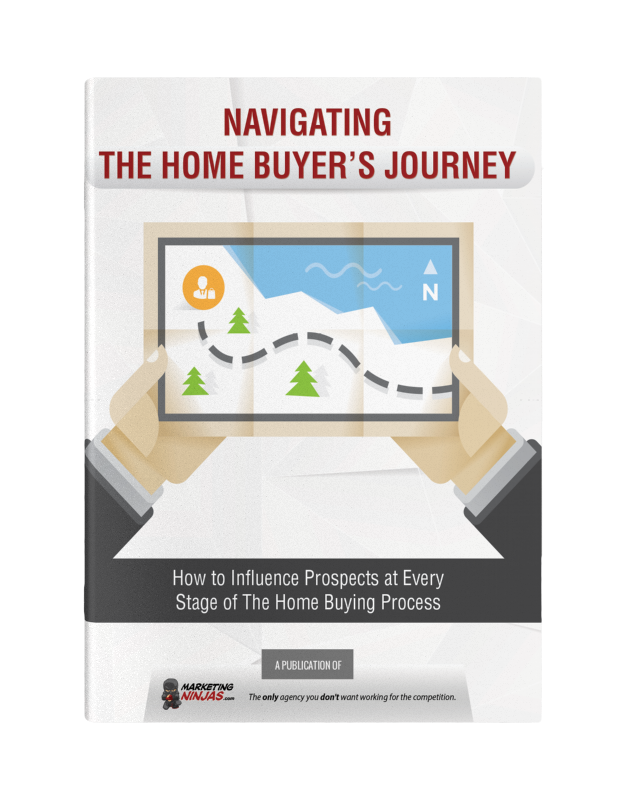 Whether it’s millennials or Gen Xers purchasing their first or second home, the buyer’s journey has evolved, and you, as a home builder, need to evolve with it. It's that, or die. For instance, this study found that 95% of homeowners relied on a website during their search for a new home. But simply having a website isn’t enough for you to stand out above your competition. The numbers are telling us something. As new home marketers, we must delegate the majority of our marketing budgets to digital efforts if we hope to survive. The old way doesn't take digital marketing into account. The old way loves billboards, radio, print - you know, all those things that have been slowly dropping off over the last 10 years? You can't talk about the new way of marketing without getting into some details about the different stages, and how they work. To understand how to get out from under the executioner's axe and become a front-runner in the home building industry, you need to look at how today's modern buyers think. However, what you need to keep in mind here is you can't force or control your prospects. You can't make them buy. And if you try to, they're going to walk out of your showhome and right into your competitor's. The key element is how you do that. By looking at what stage your prospects and leads are currently in, you can send them relevant information, answer questions they have so they can move onto the next stage. Then, when they get to the place where they're ready to finalize a choice, the logical choice is you. Awareness Stage: prospects at the stage are sometimes called top-of-the-funnel leads. However, that's not entirely accurate. The awareness stage actually covers the top-of-the-funnel contacts (i.e. : they've cautiously dipped their toes into your marketing pool with a single newsletter form) AND those lookee-lous who have stumbled across your website for the first time. The goal here is information, pure and simple. High-level questions and answers, and stay away from sales! An idea here could be a blog post that discusses the differences between a new build and a pre-owned home. Consideration Stage: contacts at this stage have become aware they have an issue and now they want to find the solution. These people have filled out a form or two on your site, and they're ready to learn more about you as a builder. You can introduce some info about what you can offer (i.e. a blog post with details on how you're different from other builders) but you don't want to push a sale at this stage either. Decision Stage: ah, yes... this is where you want your prospects to end up! The contacts here have come to the solution they need. And that solution is you. Now they're ready to talk to a sales rep. A contact form that sends the lead to a sales person is perfectly acceptable at this stage. So now that you know what the different stages are, we're going to take a look at the buyer persona, and the role it plays in the new way of marketing. If you’ve been in the home-building business for a while, you’re probably used to marketing to Gen Xers. This generation has been slower to jump on the hot new trends in technology, however, they are still heavy adopters. 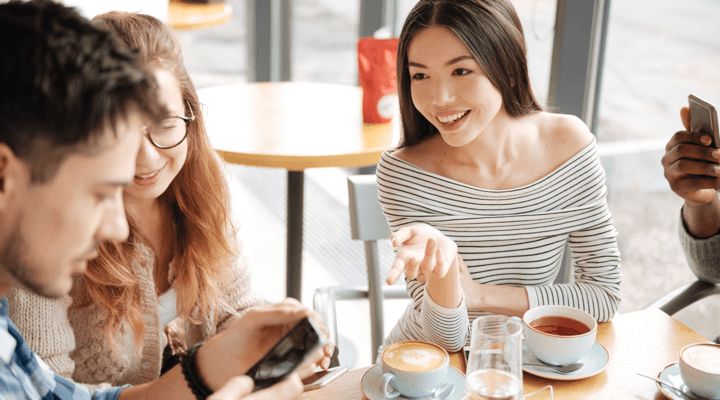 in fact, this study found that while they may not be as up-to-date with smartphones and social media, Gen X has actually been ahead of the game in tablet ownership and usage over millennials. However, it’s the millennials that you should be looking out for! Why? Because millennials make up the largest group of first-time home buyers at 66%, followed by Generation X at 26%. And millennials are online. Period. In fact, they're going to do as much research as they can, get as much data as possible, and put off talking to a real person until they absolutely have to. So create the information and data they need. Become their trusted source for all things home-building. Influence their decisions and the way they think about buying a new home. The old way was to wait for people to walk into your showhomes. But now, you need to entice them. And you have to do it early. If your team is waiting until someone walks through their doors, your business is missing out on a huge piece of the homebuyer pie. This is where your buyer personas come into play. Most people have two to three key personas, (you really shouldn't have any more than that) and knowing the details about yours makes a world of difference in your marketing efforts. Look at it this way: if your buyer persona is a first-time home buyer, aged 25-34, with no kids, they aren't going to want to read a blog post about creative ways to organize a child's playroom. However, an ebook including tips all first-time homebuyers should know is right up their alley. Your buyer personas allow you to a) focus content creation and distribution correctly and b) build stronger trust and authority with your target market. With that concept taking root, let's move onto advertising avenues, shall we? Traditional marketing methods can be expensive. For example, in the United States, billboards can range from $1,500 - $20,000 per month, (depending on where you live). This doesn’t mean you should disregard traditional methods completely, but performing an audit of your marketing budget is a good idea. Your prospects are tuning out traditional marketing methods. Think about it. Most people who still have cable TV just zip their way past commercials, and when a radio ads play, they switch the station. And that's if they aren't watching or listening on a streaming service where ads don't play at all. Not to mention, traditional marketing methods just aren’t as effective as they once were. The modern consumer isn’t likely to enthusiastically approach the salesperson promoting hand lotion in the mall. And let's be honest here, no one wants to be that like that pushy salesperson. No one responds to that ploy anymore. Looking at digital options, you have to start with Facebook. In 2007, Facebook introduced their ad platform. Smart marketers are using Facebook advertising to their advantage. It's a popular and easy-to-use medium, you can customize and build target audiences, and it's extremely cost-effective. There are plenty of other digital advertising options as well, like Instagram. This platform is great for home builders since it's all about images! You have a ton of ad options on this platform, and you can cross-advertise with Facebook. So why would you waste budget and time on the old ways, when the new ones offer so much more value? Now you understand that embracing inbound marketing is the best way to mitigate the risks of a quickly changing marketing landscape. The next step? Consider the best way to tackle it. One approach is to assemble a home builder marketing dream team. With these skilled professionals, you’ll have everyone you need to excel at creating an effective inbound marketing program for your home building business. Whether you need a blog post optimized for SEO, social media updates that wow your target audience, or advertising campaigns that convert, this team can get the job done (and do it well). Such expertise does come at a price, however; you’re looking at $396,000 in salaries - give or take. If you already have a couple of marketing pros on your team, it’s time to treat them to some training. Embracing digital is, after all, just one habit of highly effective home marketers. A good place to start is to have your entire team complete HubSpot’s Inbound Business Course ; from there, you can invest in more specialized courses for each individual. Another great option is to outsource your marketing and hire an agency. This is a great way to supplement your current efforts and free up some time for your marketing staff working in-house. Not to mention, hiring the right agency is the best way to access a team of highly-skilled professionals at a fraction of the cost it would be to hire a team in-house! If you want to stand out from your competition, you've got to meet your target market where they're at - online. That's why inbound marketing works so well - it's reaching those people where they are, without coming across as a lotion-selling salesperson. Inbound marketing gives your prospects what they're looking for, when they're looking for it. To really put your marketing efforts into overdrive, go ahead and click that button at the bottom. Our free guide, 5 Home Builder Strategies to Drive Revenue and Increase Profits, will help you develop your sales funnel with proven strategies to boost your leads and revenue. Times are changing and that means if you want to market your home building business competitively, you need to change too. Enter: inbound marketing. The evolution of the buyer's journey means it's time to step away from interrupting your prospects with your messaging and start marketing to them in alignment with where they are in that journey. Take into account the different stages of that journey when creating your marketing strategy. To dive further into targeted marketing, you want to make sure you have your buyer personas clearly defined. This helps boost your strategy since you aren't wasting time or resources sending your messages out to audiences that aren't a target for you. It's also time to take a seriously hard look at what you're doing in traditional marketing. These methods just don't have the punch or the effectiveness that digital advertising has. Which means you're spending more money with less return. The best way to stay competitive is to make sure you have a solid team; whether that's internally or through outsourcing. Ensuring your team is capable and knowledgeable means you don't have to worry. As our Jr. Marketing Coordinator, Melody is a key support player on our team. Diving deep into social posting and content, she's involved in all aspects of our marketing programs!